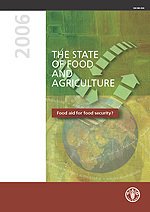 PART I - FOOD AID FOR FOOD SECURITY? Does food aid cause "dependency"? Does food aid undermine local agriculture? Does food aid disrupt commercial trade?